Traffic is up at the ports of Molde and Andalsnes, said Jorid Sovik, marketing manager, with 54 ships set to call in Molde this year and 55 in Andalsnes, along with an additional four at a new destination nearby: Eresfjord. It’s a 23 percent increase in traffic, coming on the heels of strong industry-wide growth and a strong year overall for Northern Europe. Highlights in the region are varied and include The Atlantic Road, Trollstigen Road, The Rauma Railway, The Marble Caves and Romsdal Museum. “We do our best to deliver a good product when it comes to port facilities, infrastructure, and shore excursions,” said Sovik. “Over the last couple of years, we have made great investments to ensure good conditions in our ports, especially in Andalsnes, where an extension to the pier opened in 2016, enabling ships up to 330 meters to go alongside. While berths are booked on a first-come first-serve basis, there are two quays available for ships in Molde and one in Andalsnes, in addition to various anchorages. 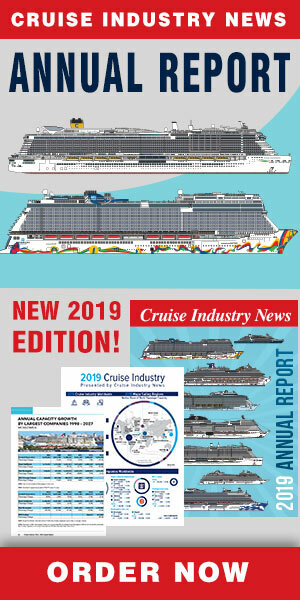 The ports hope to continue to build its cruise business into the future, particularly in the shoulder season.